Therefore, you must not make any law on this matter, as the pope does. Instead, clearly present the benefit and detriment, the need and abuse, and the blessing and the danger in this Sacrament. Then the people will come voluntarily, without your coercion. Yet, if they do not come, let them go. Tell them that people who do not understand and acknowledge their great need and God’s gracious help belong to the devil. However, if you do not exhort them, or you merely make a law or an annoyance of it, it is your fault if they despise the Sacrament. How could they not be slothful, if you slumber and are silent? The primary task of ministers is two-fold. First, they must teach the law so that people understand they are sinners in danger of God’s judgment. Then they are to preach the gospel so that the people are comforted by God having made a way to forgive and cover their sins through Christ Jesus. 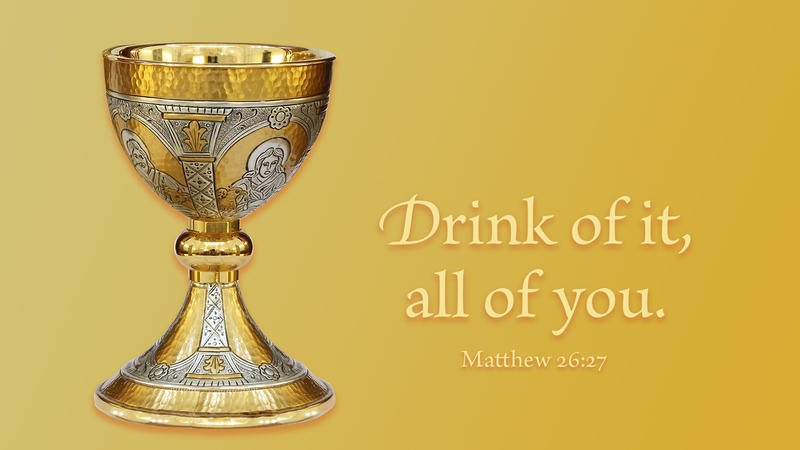 This is the great benefit of Holy Communion. There, God pours his grace out upon those who believe what he has provided for them, receiving his forgiveness through eating and drinking Christ himself. We are one with him (1 Cor 6:17) in this physical communion. However, if people do not understood and feel their need, they either regard God’s grace as a religious requirement or neglect it altogether. So, pastors must be at once stern and comforting, presenting both law and gospel, so that the congregation knows their need and receives the Sacrament often. Prayer: Give me, Lord God, the power of your Spirit to live with obedient faith in your Son. Amen. 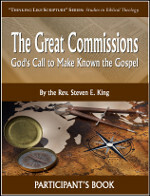 The Great Commissions is a six-session Bible study drawing from all four Gospels, as well as the book of Acts and the writings of Paul, to focus on the calling that Jesus has given us and how it works in our everyday lives. Here is a sample PDF of the introduction and first chapter.